Highly powerful and efficiently designed, Carbonite delivers unprecedented performance in a remarkably cost-effective package. 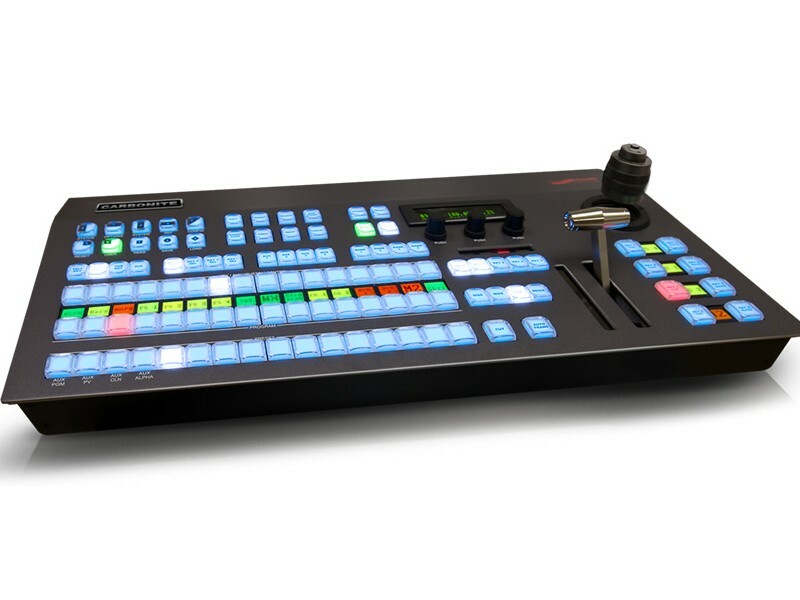 Carbonite sets the bar as the new world standard for mid-sized production switchers. 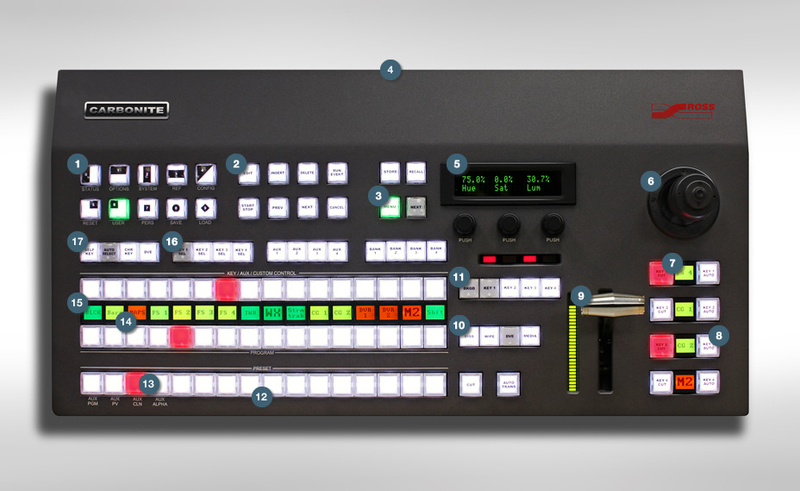 Rugged and reliable - The stunning Carbonite 1 control panel has 16 source buttons and beautiful full color mnemonics for source and key naming. It also has a 3-Axis joystick positioner as well as direct access buttons in the transition area for advanced media wipes and DVE transitions. Uniquely, the Carbonite 1 panel can control 2 MLE's via user configurable keys.